* Economy shipping to continental USA only. Need it by April 24th? Order in the next 11 hours and upgrade to 2 Day Shipping at checkout. Invert the bubbler for a few seconds, then turn over and watch the volcano erupt for two minutes. A calming timer with visual appeal. Product measures 3.5 inches tall and 2.25 inches wide. Recommended Ages: Not specified. See product description. I can't figure out how to use this. There's a blob floating, but I must be missing something! Kids and adults both use this in therapy; it's a great illustration for anger, and release of energy in appropriate ways. Love this! The kids are fascinated by it and it's a good analogy for anger. I purchased this for my school age clients that I practice play therapy with. I purchased this for my school age clients that I practice play therapy with. They love it! It's a great fidget toy for elementary and middle school kids. 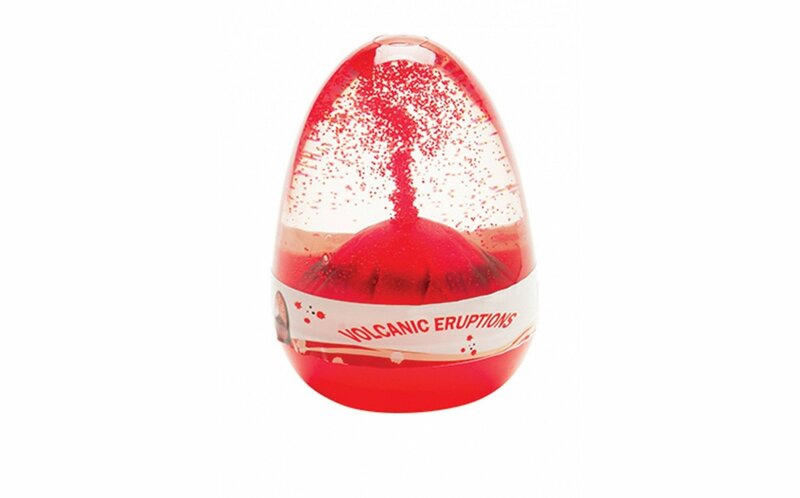 The volcano eruption is fun to watch! Totally Cool! 3 min. of Mindfulness! The first one came broken. The Play Therapy store replaced it and the second one was fantastic. Everyone, including adults enjoys it. This is an explosively great mindful tool. It has become a favorite in my playroom to help slow breathing. Useful for showing how anger can erupt and produce a volcano! This has been a hit with my "anger" kids. I tell them that it erupts so they don't have to. Always be kept up to date on new products, sales and promotions.